Denise is a respected trainer, coach and published author. Before founding her own training and coaching consultancy in 1997 she lead a successful career in management and business development within blue chip organisations in the financial sector for 14 years. She is driven by her mission to inspire people to be all that they are and has a passion for helping people, teams and organisations fulfil their true potential. She is a Talent Dynamics Performance Consultant, a Master Practitioner and Certified Trainer of Neuro Linguistic Programming, a fully certified NLP Coach, a certified Hypnotherapist and qualified trainer of Strength Deployment Inventory. She also co-authored Beat your Goals, a book for personal and business success, with David Molden. Working with executives, line managers and entrepreneurs she inspires and enables individuals, teams and organisations to achieve outstanding results and authentic success. She regularly leads development programmes both in the UK and internationally, for large corporations, small businesses and central government and has coached countless clients in groups and individually. 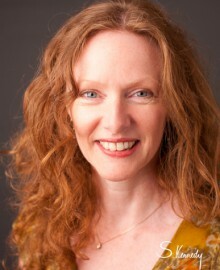 She has proven experience in coaching and running programmes for diverse, multi cultural and international groups. She has led many Management, Communication and Leadership skills programmes for new and more experienced managers and has also worked with groups of specialists including engineers, fire service employees and in-company lawyers taking on wider leadership roles. Clients include BP, Bank of Scotland, Central Government, Chartered Institute of Purchasing & Supply, Co-op, Fire Service, Institute of Management, RWEnpower, Sainsbury’s and Shell Chemicals. Combining many years’ business experience with leading edge people development skills she continues to research and share new ideas and techniques for personal and organisational change. She also draws upon her knowledge of wider practices including yoga, meditation, healing and energy work. Her dynamic and fun style together with her warmth and understanding of people make her a very popular trainer and coach. “I have recruited Denise on a number of occasions over the last few years to work with my Group Heads and with a number of individuals for personal coaching. Denise has also worked directly with me as a facilitator at a conference I organised. I have always been impressed with Denise's ability to work with individuals or groups and make a very significant difference to the performance of those she has worked with. Denise is a true expert as a personal coach and also as a facilitator of conferences"